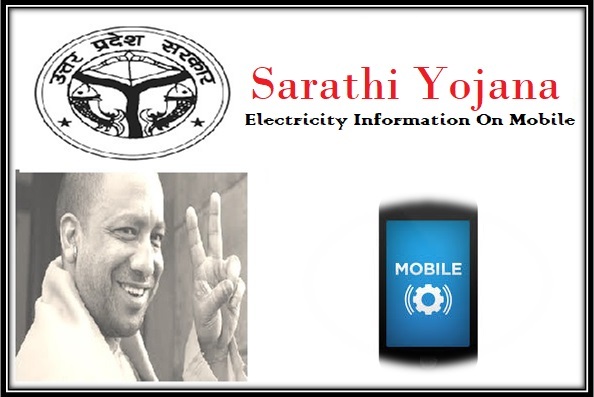 The state and center Energy Department in the state of Uttar Pradesh have announced the launch of the new Sarathi scheme. Under the scheme the state electricity board of the state shall provide consumers with all information related to the electricity and power supply on their mobile phones and internet. One of the main objectives for launching this yojana by the center and the state government is to help save time that otherwise consumers have to waste in lining up at the board office. It is also certain that after implementation the feeders who are still facing such problems of line loss will be marked. Trained IT Staff : To make it more effective it is certain that the state and the center government in electricity board will hire and train efficient IT staff who shall offer with all possible benefit of the application for both consumes and the electricity board. Supervised By : The government has also selected officers from various departments including PGDCL, Rural Energy Corporation, and the officers of the Purvanchal Discom HQ will be provided with the necessary training for the first phase of the Yojana. Advance Information : The new scheme launched by the board in the state is IT enabled. This means that the consumers in the state will be able to access all information in advance on their mobile phones. Timing Of Power Cut:Under this scheme it is also certain that the consumers will be able to access information prior of time related to the exact timing for power cut in their areas. Sale and Purchase Information: Apart from this the center and the state government has also made it very clear that the consumers will be able to access information related to sale and purchase of electricity on mobile phone via internet services. Electricity Bill : The government officials have also clearly stated that the new mobile application will be helpful in providing details and exact information related to the consumer and their electricity bill. It is also certain that the government will maintain a complete database of such feeders and consumers who are connected to them for both commercial and domestic purpose for future reference. Under the new scheme it is certain that the board will be able to help provide the exact revenue generation data that is made on the power sales. This data base will also help the center and state government to analyze the exact difference between sales and purchase of electricity by the board with an aim to rectify the main causes leading to differences. It is certain that with all other fields getting digitalized the UP government also aims at digitalizing the electricity board for consumers and department to prevent time loss and speed up the process of collecting information.